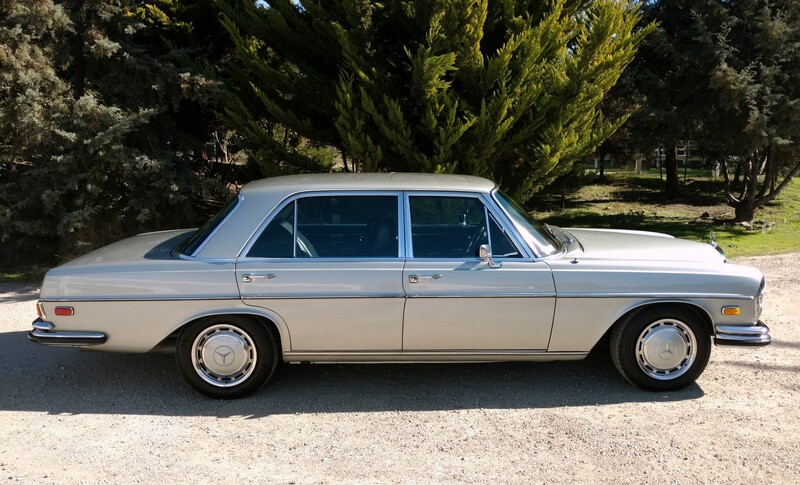 Finished as originally delivered in silver while still retaining its exceptionally well cared for original black leather interior, this highly original 300SEL 6.3 powerhouse Mercedes luxury car has only what is believed to be only 29,000 miles from new. Optioned with electric sunroof and center console mounted automatic transmission. Mercedes-Benz returned to the greatness of yesteryear when they developed “the executive road racer, titled the 300SEL “6.3”. The car was built as a two ton luxury long wheel base with the robust 6.3 litre engine of the “600” limousine somehow crammed under the hood. The result was an automobile with 137 mph top speed and acceleration of 0-60 mph in 6.5 seconds and 0-120 mph in a mere 31 seconds. By some margin the fastest production sedan in the world in its day, the car made its U.S. debut at Leguna Seca race course near Monterey, California. Legendary Mercedes-Benz icon Rudolf Uhlenhaut was on hand to demonstrate the car’s superlative road holding ability and maneuverability as well as, of course, the car’s over the top power and speed. Car and Driver Magazine stated of the 6.3 300SEL “This automobile is the most stimulating, desirable 4-door sedan to appear since the Model J Duesenberg.” Road and Track succinctly called it “The greatest sedan in the world”. 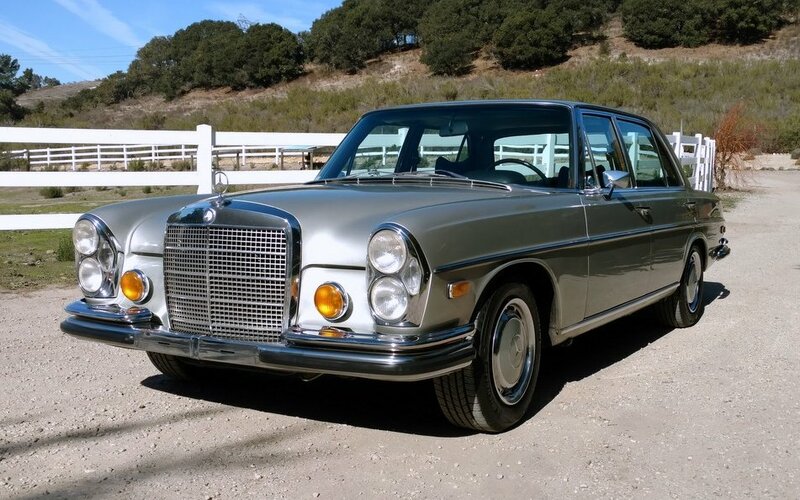 Originally priced at a substantial premium above the now vaunted 280SE 3.5 Cabriolet, it was the most expensive model in the Mercedes-Benz line up sans the “600” from which it obtained its engine type and pedigree of exceptional power. 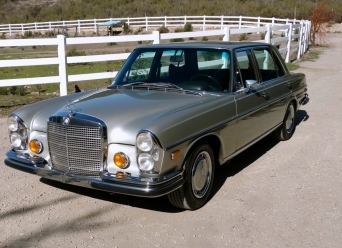 This incredibly well maintained example of the “6.3” Mercedes-Benz comes dressed in silver over an exceptionally well preserved original black leather interior accented by like new tiger-walnut trim. This example comes desirably optioned with an electric sunroof and center console mounted automatic transmission shifter. Within in the past 1,000 miles of use the car has undergone a complete mechanical servicing including the air suspension. The original owners manual is present along with the original tools.